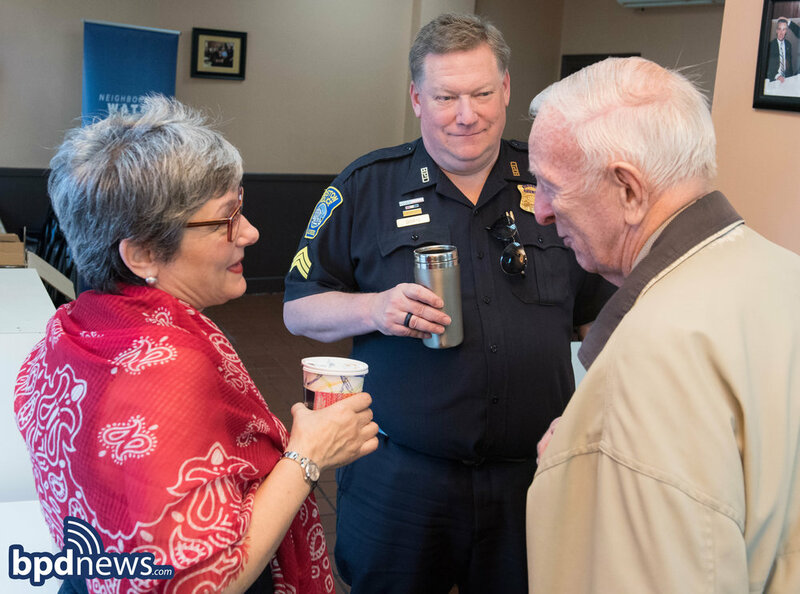 Thanks to all those who stopped by #CoffeeWithaCop at the Capitol Coffee House located at 122 Bowdoin Street on Beacon Hill. 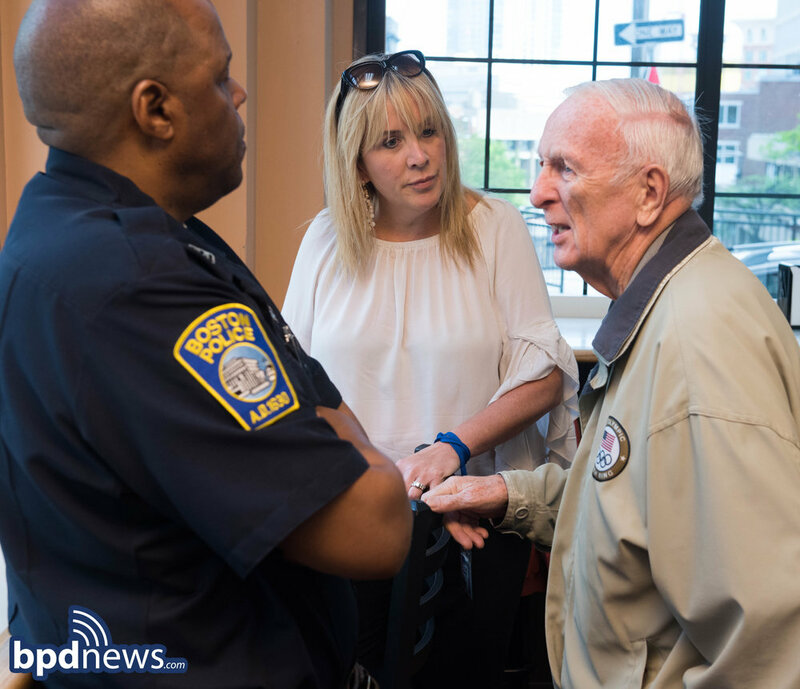 Our officers had a wonderful time hearing your concerns, shaking hands, and making new friends and allies in our ongoing efforts to protect and serve the wonderful citizens in our fine city. 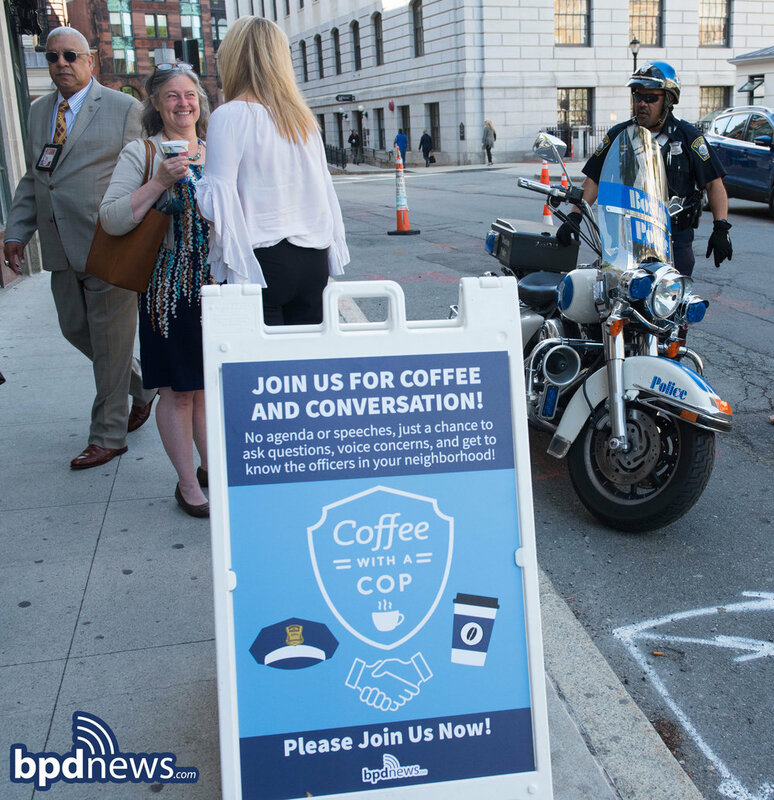 This summer, as in summers past, the men and women of the BPD will be hosting Coffee with a Cop gatherings all over the city with the sole goal of building better relationships, trust and familiarity with the people who count on us to keep them safe. 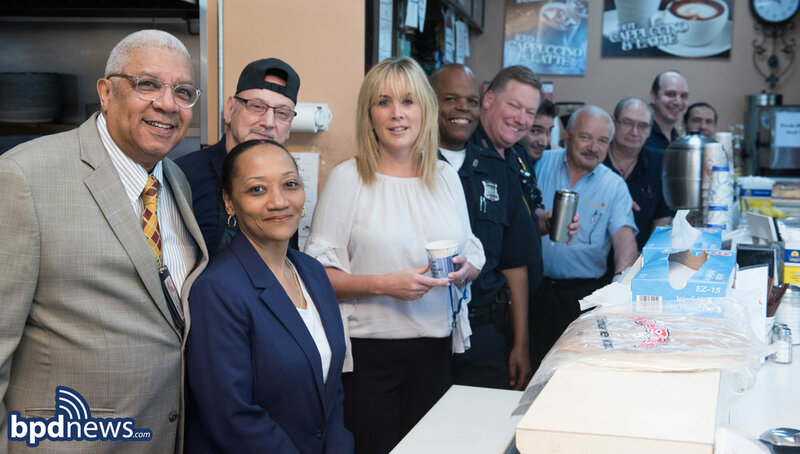 Your safety is our highest priority.